The afternoon quiet is so welcome. No drilling, hammering or drafts of cold air while contractors go in and out working on the master bath remodel. No meowing cats, who are secured in another room. The wet saw is no longer in my garage. Two empty pallets, which once held travertine, are empty. Progress. 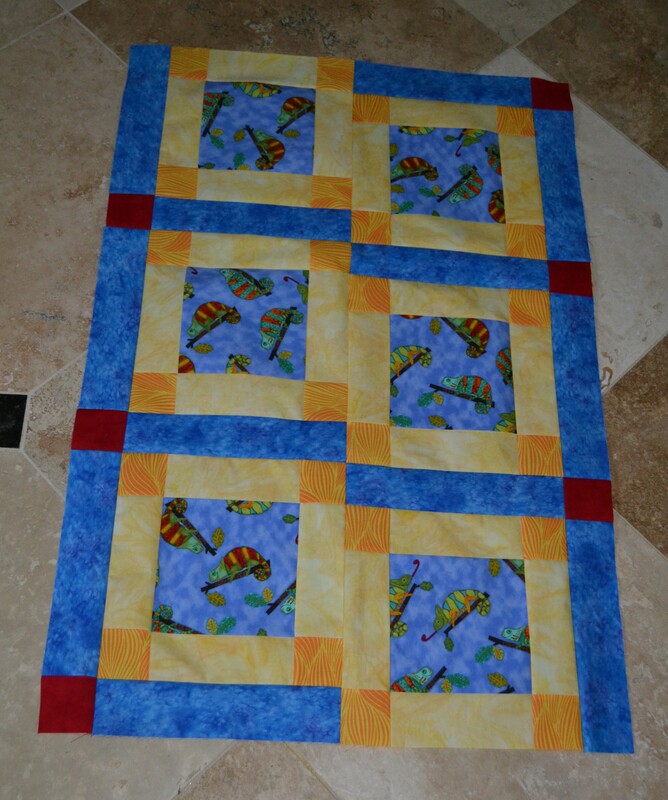 Too cold to be outside, I rummaged through my stash and stitched this baby quilt, it still needs borders, this afternoon. I hope the lizard fabric will delight the child who receives it. I think it is cute as a bug. The free pattern, by Ursula Raikes, is from ShopMartindale.com.